I know, I know…I’m totally late on the game on this! 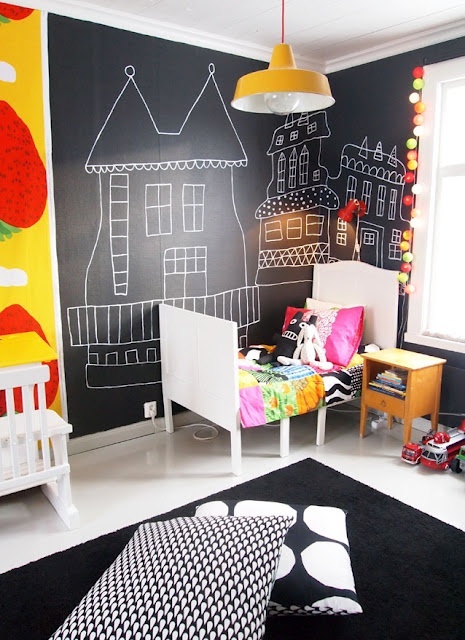 I think chalkboard walls may have been done to death. But I have not done one, so let’s say it is new to me! :) This is the latest photo I have of the dining room. I don’t know what I am doing with the table…disregard that, it was a trial. I did not like it. The dining room has barely been touched. It has had an identity crisis since we moved in. But now I am working on it. It’s been tough making up my mind on what to do with it, but I think that I am starting to have a vision…starting with the walls. 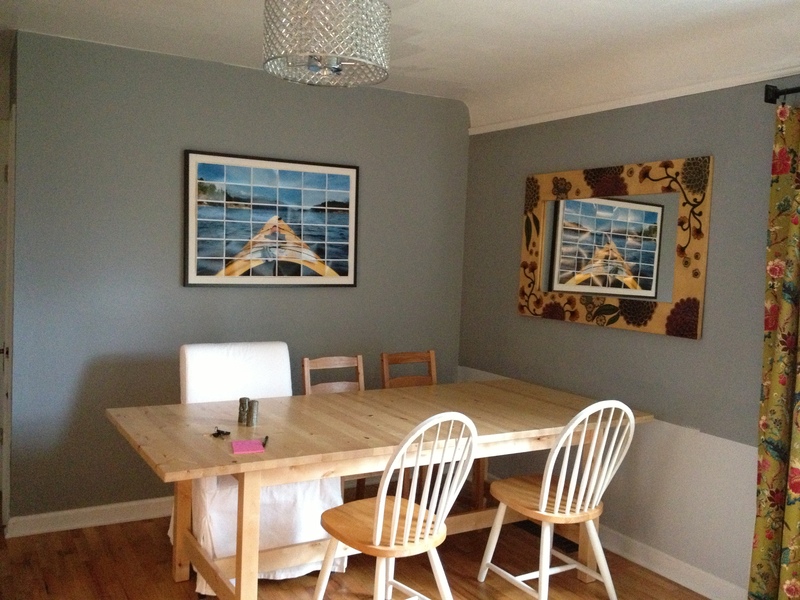 We have 2 large blank walls, one has a large mirror, and the other has my enlarged photo art. They don’t match each other in style. The chairs are mis matched. I keep putting down a rug, and then removing it, then putting it back, then removing it again. Anyway, I won’t go on and on about the dining room decor…this is about the walls. Since they are both large and blank, I thought it’d be perfect for a chalkboard wall. Lucy is kind of young…yes, but I imagine her enjoying it in a few years. And I guess until then, I can enjoy it. I have no idea what I am doing to draw on it. It feels like a lot of pressure. My fear is that I will make random to do lists that will stay up for months. Somehow I manage to keep grocery lists on scraps of paper for weeks. A part of me goes back and forth on whether I should do it. Wait, I may have just changed my mind though…mid post. I did a pinterest search. Love these frames. 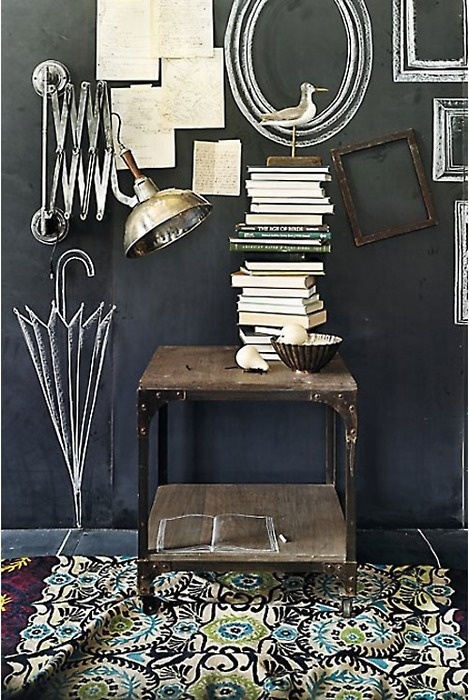 Great idea for a quick change gallery wall! Look at these! They are awesome! The wheels in my head are starting to turn. 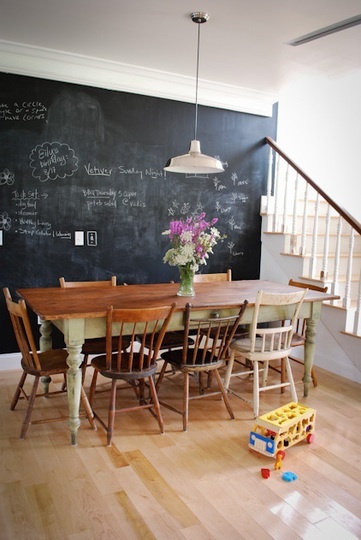 Anyone come across some great chalkboard walls? I have one in my kitchen, we use it for a countdown to special days, menu’s for when people come over, and notes to each other! Such a neat idea-you’ll love it! 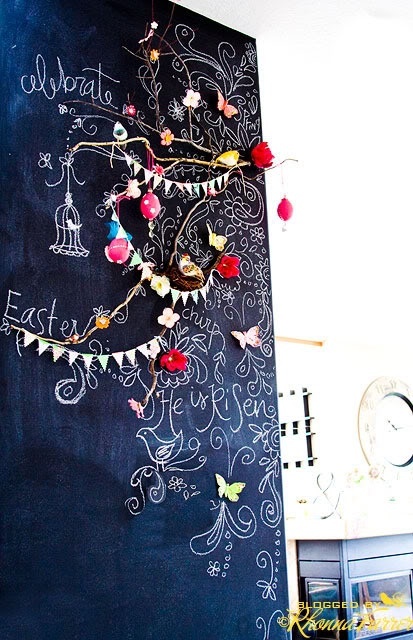 Love this & glad to see a new post from you :) I must confess, I have a can of chalk board paint in my garage, with another can of magnet paint to paint under the chalk board paint…I haven’t sprung into using it yet…but image I will do so sooner than later…so keep us posted! Ha ha. Please tell me that is not a stuffed pig in the living room? Ha! It is! But it’s not mine, inspiration pic! How timely! I bought some black chalkboard paint with the vague thought of inexpensively updating the old wood kitchen cabinets at the condo. 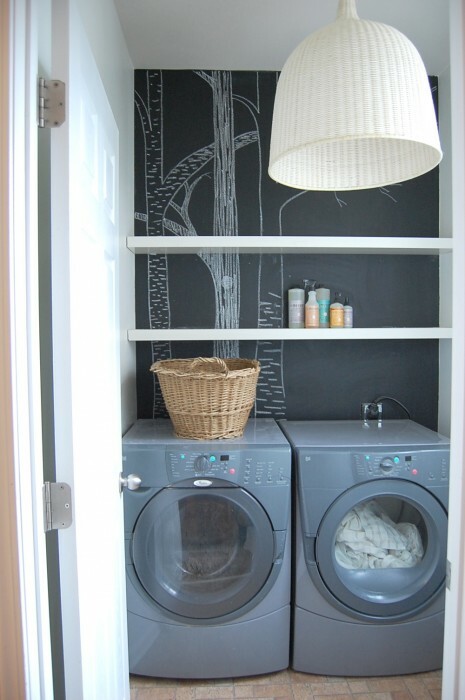 I was only brave enough to paint one panel; now I need input from my co-owner before I proceed :) Though, on our next trip there I’m going to paint behind the washing machines and draw chalk trees, like the sample on your blog. Thanks for the inspiration, dear!